FAQ: How Do I Whitelist Email from Satori Method? 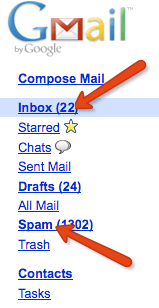 Most email providers have filtering systems (or “mail blocking”) that tries to protect you from unwanted email. Unfortunately, these same systems often block email that you want to receive! Whitelisting our email addresses will ensure that what you ordered from us actually reaches you. For specific instructions on how to do this for one of the major email providers, please click on your email provider and follow the instructions. Even if your ISP or email program is not listed, with these instructions you should be able to figure out how to whitelist our email address with other email programs. To whitelist our address with Gmail (or Google Mail) you will need to add [email protected] to your Safe List. 4. Click “Add Satori Method to Contacts list“. 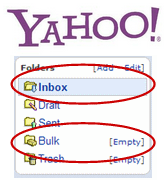 To whitelist [email protected] with Yahoo!, you will need to set up a “filter”. 6. Select the “From header:” rule, and add “contains” and [email protected], which tells the system to put email with [email protected] in your inbox and not the bulk folder. 8. Pick the Add Filter button. 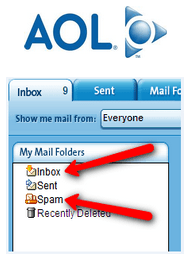 To whitelist and add [email protected] to your AOL address book. 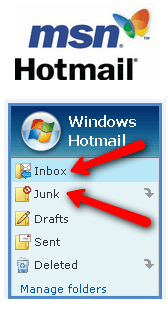 To whitelist our address with Hotmail you will need to add [email protected] to your Hotmail Safe List. 2. Next, check to see if if the email address [email protected] is on your Blocked Senders list. If you find [email protected] on your Hotmail blocked senders list, select it and click on the “Remove” button. 7. Click the “Add” button. To whitelist our address in Outlook you need to add [email protected] to your Safe Senders List. To whitelist our address in Outlook 2012 you need to add [email protected] to your Safe Senders List. 1. Right-click on the message from Satori Method (or any email from a sender you want to whitelist). 2. From the drop-down list, select Junk E-mail. 3. Select Add Sender to Safe Senders List. To whitelist our address in Apple Mail and add [email protected] to your Safe Senders List. 1. First, if email from [email protected] ends up in your junk folder, highlight or open it and click “Not Junk” at the top of your screen. To whitelist in Thunderbird, you need to add [email protected] to your address book, and then set up your Thunderbird Junk Mail Controls. I read this article and found it very interesting, thought it might be something for you. The article is called FAQ: How do I Whitelist Satori? and is located at https://satorimethod.com/faq-page/faq-how-do-i-whitelist-satori/.